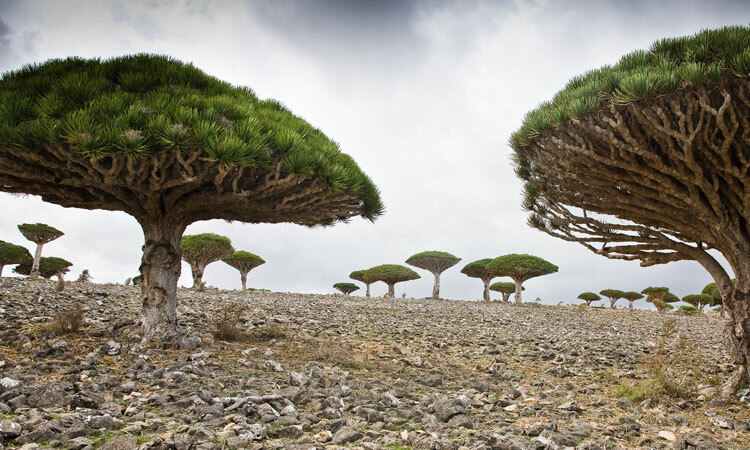 Despite all of the wonderful discoveries linked to our planet, there are still surprising new discoveries. 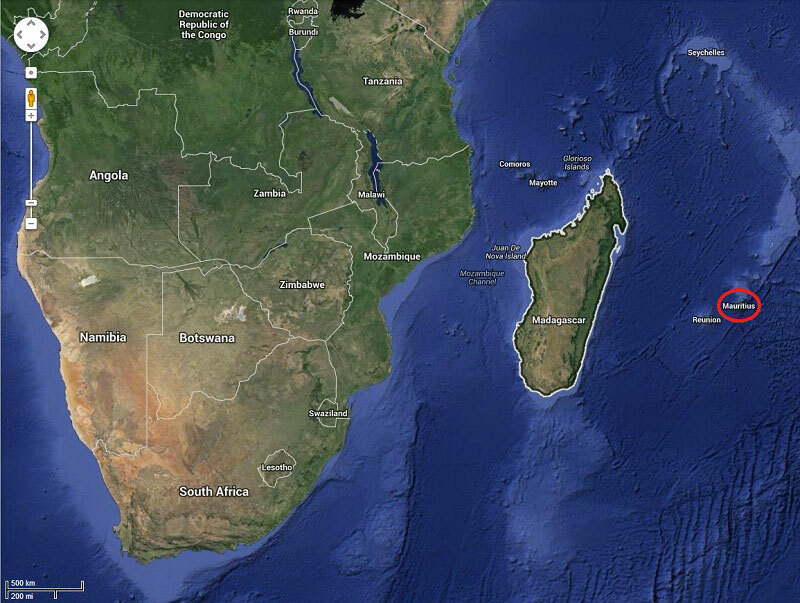 The latest such discovery has been made near the south-west of island of Mauritius. 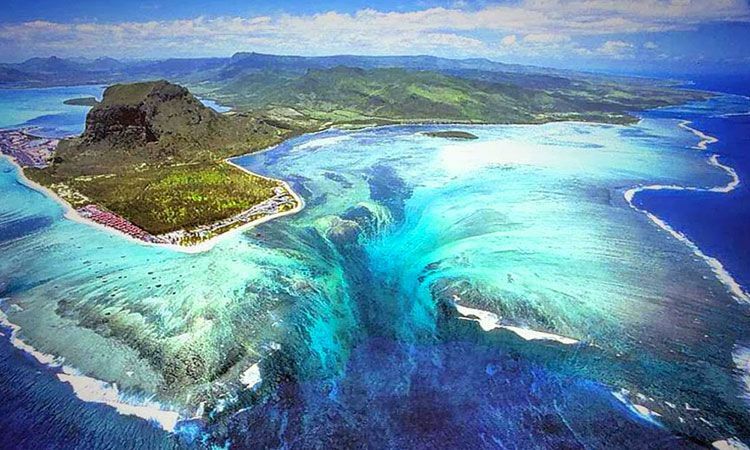 It is the beautiful illusion of a waterfall that appears to flow under the ocean. 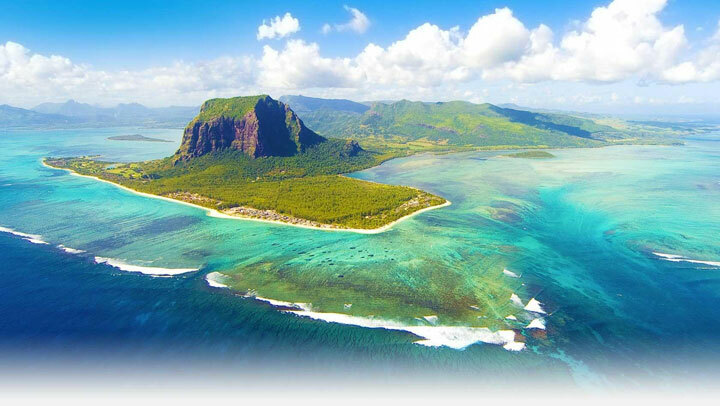 The Mauritius, located in the southwest Indian Ocean, is not only termed as one of the most beautiful places on Earth, but it also boasts of harboring an incredible illusion. 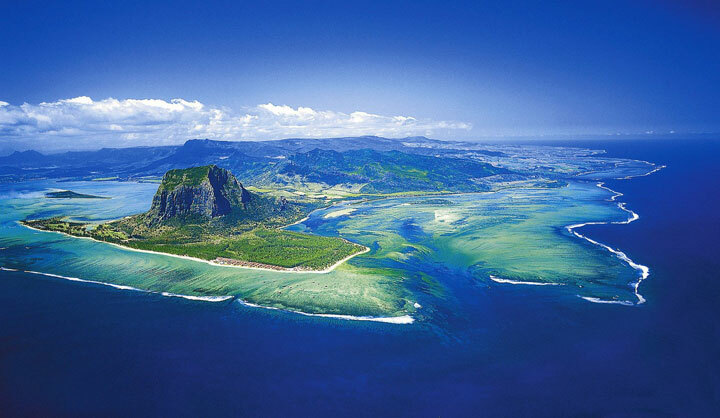 On the coast of Morne Brabant, a mountain classified as World Heritage by UNESCO, we can indeed see this strange illusion of under the ocean waterfall. 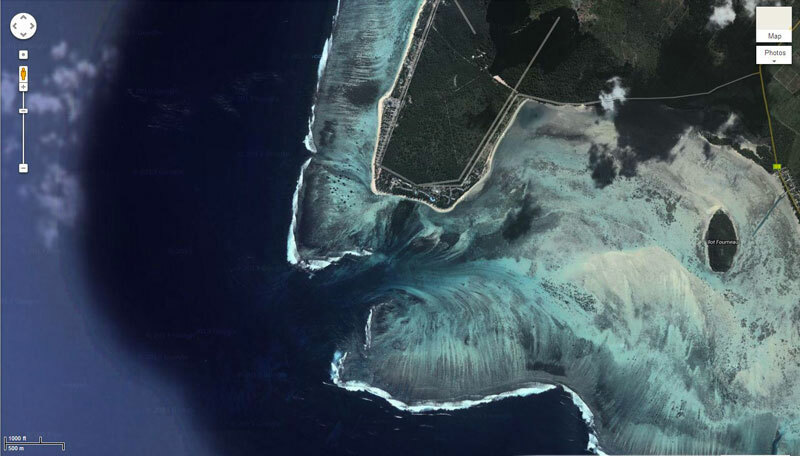 This phenomenon occurs due to a runoff sedimentary formation of sand and silt. 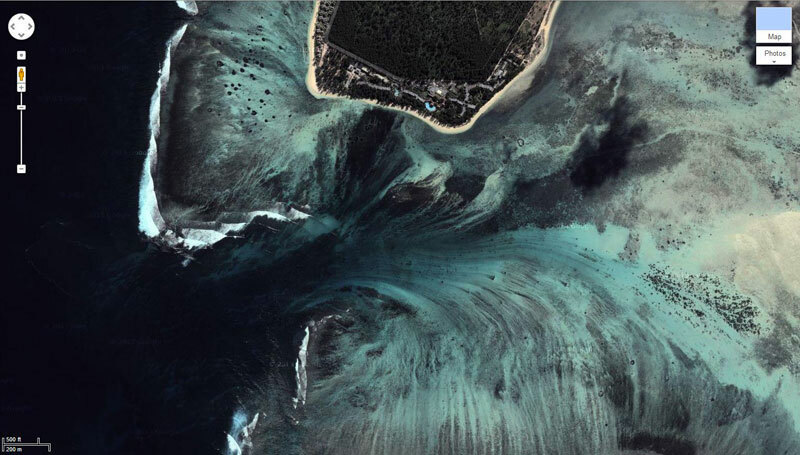 Easily visible in a satellite photo, we can more easily distinguish this funny underwater chasm that reinforces the beauty of the place. This illusion is simply awesome! The fact that you can see this phenomena from a plane, a helicopter or even through the eye of a satellite, makes this phenomena really unique. 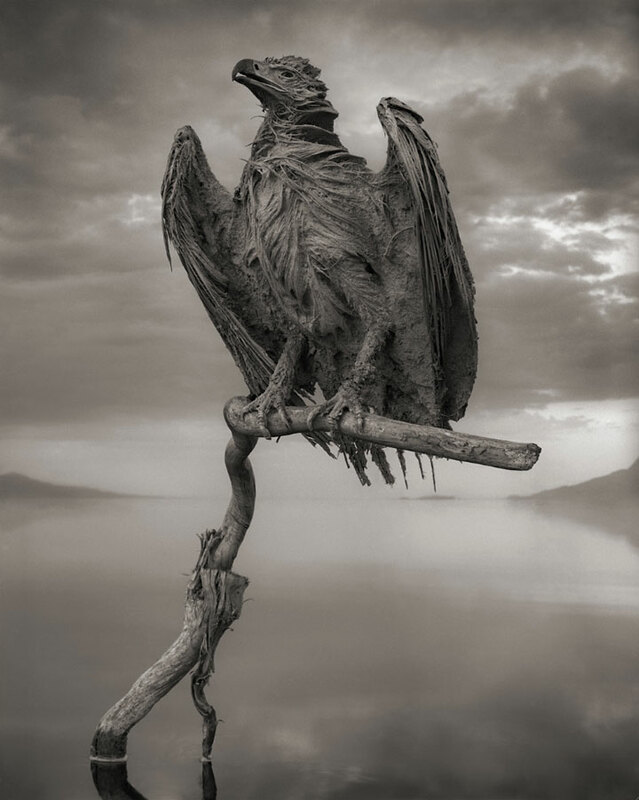 Did you think that in nature, there is any other example of such beautiful and mysterious illusion? 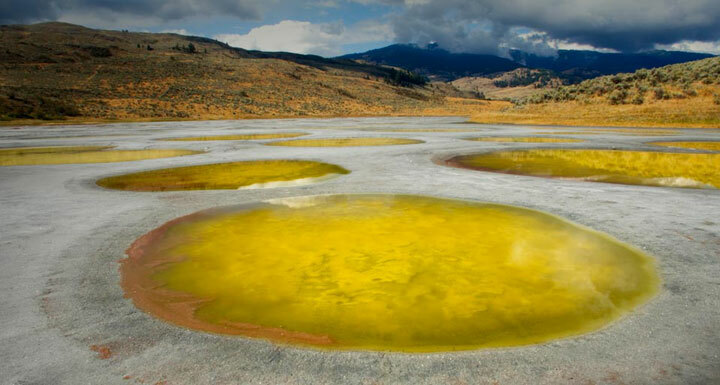 If you liked this article, may be you would also like The 20 Of the Most Strange Places In The World.